At your job, you’ve recently installed a new serial link to a neighboring site to perform equal-cost load balancing with EIGRP. However, your boss refuses to issue you another IP network for this link, and he forbids you to variably subnet the existing network. Can you make it work? Nothing has been preconfigured for you! Make the proper physical connections as outlined in the diagram. Configure 1.1.1.1/32 as a loopback on R1. Configure 2.2.2.2/32 as a loopback on R2. Using only the 192.168.12.0/24, assign an IP address to all (4) serial interfaces in use, establish an EIGRP neighborship on each link, and ensure traffic is load balanced between router loopback addresses. These tasks can be performed in any order. This must be done on GNS3 as packet tracer does not seem to support this lab. how in the world did I not receive an Overlap error message? Can someone explain why this is working, and not getting an overlap error when assigning 192.168.12.1/24 and 192.168.12.2/24 on the same router to 2 serial interfaces? You will need to bind the interfaces together using ppp multilink. Then, you will be able to assign the multilink interface the IP address. You all have good ideas, but this is NOT a multilink problem, nor it is an unnumbered problem. The key is in the “order of operations”. Try configuring something else first … before you configure interface IP addresses. Each interface must have a different IP address. For example 12.1, 12.2, 12.3, and 12.4. That rules out IP unnumbered and MLPPP. have you a video solution, pls? Hope Nick this provides win-win solution to network admin & satisfy the boss. There is nothing in the final config? I guess I need to create the topology manually? 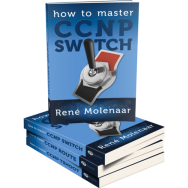 i try to configure with gns3. it work fine with overlap ip address on serial link also. but i wonder is it applied on serial link only? I think its a starightforward config.Serial connection is point to point and will be accepted,If you try this with ethernet there will be an overlap. Q. Is it possible to have duplicate ip addresses for two serial interfaces that belong to the same router? A. Yes, duplicate ip addresses are allowed on serial interfaces. It is a more efficient way of bundling links together (ie. MLPPP) and also a better way to preserve address space. Change the encapsulation from the default HDLC to PPP in order to assign duplicate ip addresses. So in other words, Cisco allows different serial interfaces on a router to be configured in the same subnet. That’s the solution to the IP addressing problem. I’m not as clear on how to fulfill the load balancing requirement. I assumed that the IOS would automatically load balance across the two serial interfaces, but Wireshark captures don’t bear that out. When I source pings from the loopback interface, it always uses the same serial interface to forward the pings to the other router. Ok, I think I got it. After reading up on this a bit, I found out that when Cisco Express Forwarding is enabled (the default on recent IOS versions), load balancing is done on a per-destination rather than a per-packet basis. Process switching load balances on a per-packet basis, which is what this lab calls for. Sure enough, I issued the command “no ip cef” and my Wireshark captures showed that both links were being utilized when I did some test pings. That said, I don’t feel really comfortable tinkering with low-level algorithms, so if someone can do this without turning off CEF I’d love to know. To answer my own question, I did more research and found out that you can still use CEF and do per-packet load balancing if you issue the command “ip load-sharing per-packet” on all the serial interfaces. Wow, this lab took me on quite an unexpected ride. Excellent Explanation. Better than Google searching it! give ip addresses as you want. but within the network mentioned. create loopbacks on each router. and traceroute from a source of one router to the second one will prove that it is already loadbalanced, since there FD are the same. The Config in this lab are incorrect assuming you want to ping the Loop back from each router. the question asks to make sure each interface has an ip address. I take this to mean each interface needs its own ip address. This rules out multilink, unnumbered etc, etc. Just use per packet load sharing. To test, clear counters and send an extended ping. Then go and check the counters for each interface. There will never be an exact 50/50 split but as logn as you are within a few packets you will know it is working. The solution is to configure the EIGRP network statement BEFORE configuring the IP addresses. I realize now that the final configs still put the routing processes after the interfaces, so no one could see the sequence. As I said above, the trick was in the order of operations. This is a very obscure feature, and I don’t think it even works across a reload. Have never deployed it in production. I guess when Rene mentioned in the question “These tasks can be performed in any order”, that was quite intuitive. I guess when Rene mentioned in the question “These tasks can be performed in any order”, that could have killed it. 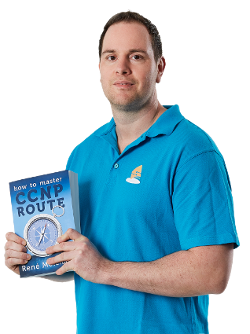 I tried simulating your solution on GNS3 but the loopbacks are not pingable from either routers.The transit interfaces are pingable from both the routers. Plz let me know the issue or if need any outputs. Sorry for my earlier post.I failed to enable eigrp on my loopbacks. Now both are reachable. what is the effect of making loop back interface passive?……………….how loop back helps to bundle links? In EIGRP, by making an interface passive you are suppressing hello packets from being sent to that interface. In addition, it also suppresses routing updates from being sent out that interface. passive-interface command will stop outgoing and incoming routing updates of loop back interface!!!! just clear that what is the role of loop back in this lab to create link bundling? please how to dowload this lab? This is not correct. The idea is to have both links show as connected routes. I believe I answered this in some earlier comments, do you see it? This is not the correct solution, scroll up in the comment chain and you will see it. The key is in the order of operations. Not correct, please scroll up in the comments to see the correct solution. @Nicholas : Your answer is correct but then packet will be load balanced per destination based. We need R2(config-if)#ip load-sharing per-packet or R2(config)#no ip cef but load balancing per packet based. OK, that is true. I wasn’t really aiming for that as an objective but if you read the instructions literally, you are correct. Not quite. Scroll up in the comments to see the correct configuration. you must configure ip addressing with /24 prefix mask. Hello, I just simply did that. It is working properly. For GNS3 I need IOS that supports EIGRPv6, how can I get this? Now I have small query, not a query as such but more of a need of an analysis after the crime is solved. How we are able to put the ip addresses of the same subnet on different ports of the network? Does EIGRP does not detect the same? And what did it mean by “Order of Operations issue” needed to solve this lab. I really don’t have a great answer, but you must configure the EIGRP network statement before configuring the IP addresses.